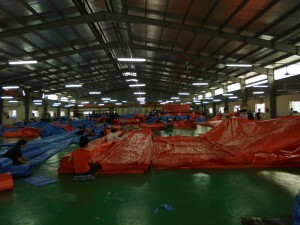 In 2012, K-TARP VINA CO.,LTD was established in Vietnam, involved in manufacturing and exporting PE tarpaulin (Polyethylene tarpaulins), with nearly 500 dedicated employees. 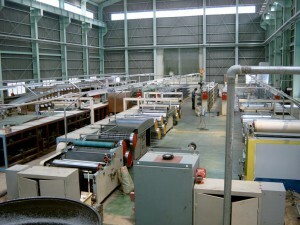 In 1985, Time Co., Ltd was first established and set up main factory in China, maintained operation from 1993 to 2011. In 2012, we moved factory from China to Vietnam and found K-Tarp Vina Co., Ltd.
Our PE tarpaulin are designed and developed in tightly accordance with customer’s requirements with latest market trends. Therefore, our product range is available in different standard as well as customized shapes, sizes and specifications and made of high quality raw material imported from Korea. 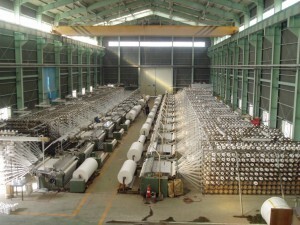 The production process is monitored at every stage to make sure the availability of best products to our customers. Providing true value of money to the customers, the products are checked before the final delivery.